TRS Forms & Services (TRS Forms), a pioneer in providing solutions in examination and admission space in India, has recently bagged the order from Solapur University for their exam evaluation process using the latest technology. This has helped the university not only to speed up the evaluation process but also to publish results with high level of accuracy. TRS Forms has used their FireEye process for automatic dummy numbering and has helped the university to publish fast and accurate results. Solapur University is the first university in Maharashtra to implement this technology. This solution benefitted the university in adding credibility to the evaluation process by increasing accuracy, reducing time, and thus enhancing security and confidentiality. This automated system streamlined the entire process eliminating all possible human errors. 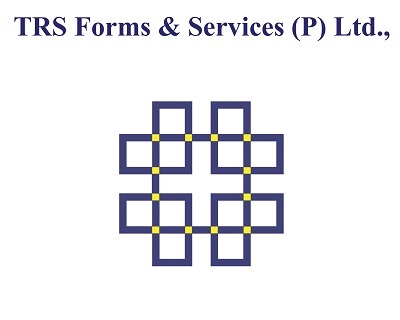 TRS Forms & Services Pvt. Ltd. is a pioneer in providing solutions in Indian examination and admission space and provides data centric solution for screening and validating documents in the education, corporate, and government sector. Over the years, with continued emphasis on research and development (R&D), TRS has developed high-tech and digitized new range of improved and advanced solutions applicable to a wide range of industry sectors. These solutions have been successfully implemented in education, government departments, and corporate segments. TRS Forms is the only company in the small and medium enterprise (SME) segment operating in the sector with a dedicated R&D division and has gained extensive prominence in the education space, over the years. The company has pioneered new technological solutions in examination and admission space by using technologies like OMR, OCR and ICR. These include coding and scanning of answer booklets, result processing, and generating tamper proof documents. TRS Forms with more than two decades of experience and with its full-fledged in-house R&D center is an expert in providing world class and advanced technology solutions.